As I mentioned on an earlier post, one of the Schools I will be applying is Kellogg School of Management. 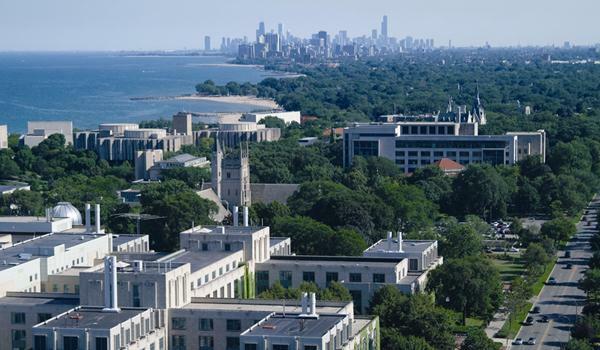 The Schools is located in Evanston, Illinois, half an hour drive from the city of Chicago. I’ve never been to Evanston, but I have visited Chicago twice and I love the city, it’s amazing! There are hundreds of beautiful buildings, each with a different construction, and the city is right by the Lake Michigan and has several beaches, awesome! What I’ve heard about Evanston is that it is a really good, welcoming place to live, where students are located very close to each other, thus with endless opportunities to hang out and do all sorts of activities. Many students take the train to visit the city of Chicago, usually to go out at night, since it is not far away from Evanston. If you read my earlier post about Kellogg, the School offers a lot of possibilities to focus your MBA program on those aspects you really want. It has one of the best Marketing programs of the world, and an amazing General Management concentration. Furthermore, Kellogg’s concentration in Entrepreneurship is great. The Levy Institute offers lots of extracurricular and academic activities to students, and it also holds an annual contest called the Kellogg Cup Business Plan Competition. Around 480 students make up the Full-time MBA class each year. Usually most of these students end up working in a consulting related job. The top three employers are consulting firms: The Boston Consulting Group, McKinsey & Company, and Bain & Company. Part I: general information about the applicant, tests scores, interview request, and resume. Part II: letters of recommendation, essays, transcripts, and additional information. Round 1: part I on September 22nd; part II on October 18th. Round 2: part I on December 14th; part II on January 10th. Round 3: part I on March 22nd; part II on April 5th. Complete one of the following three questions or statements (400-word limit): 1) Describe a time you had to inspire a reluctant individual or group. 2) People may be surprised to learn that I. 3) The riskiest personal or professional decision I ever made was. I had the opportunity to attend a Student Ambassador event at Madrid several months ago and I am in contact with several Kellogg students from Spain. So far I’m really pleased with everything I know about the School, and the people I have met are awesome. Tags: Business School, Chicago, Kellogg, MBA. Bookmark the permalink.